Get notified when Darius Rucker tickets are available! Darius Rucker is a United States-based singer-songwriter who first became famous as the vocalist and guitarist for the American-based, Grammy Award-winning band Hootie & the Blowfish. As Rucker co-wrote most of the band’s songs, he is responsible in part for their five studio albums that reached wide success and helped carry him into his solo career. He has released R&B albums and country albums alike and became the first African American that has ever won the New Artist Award from the Country Music Association. 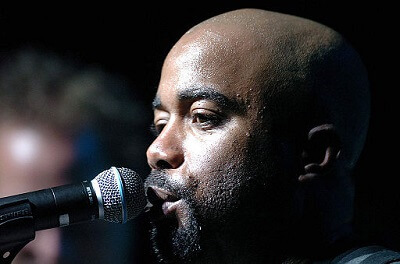 Get your Darius Rucker tickets to see this talented and versatile artist in person.